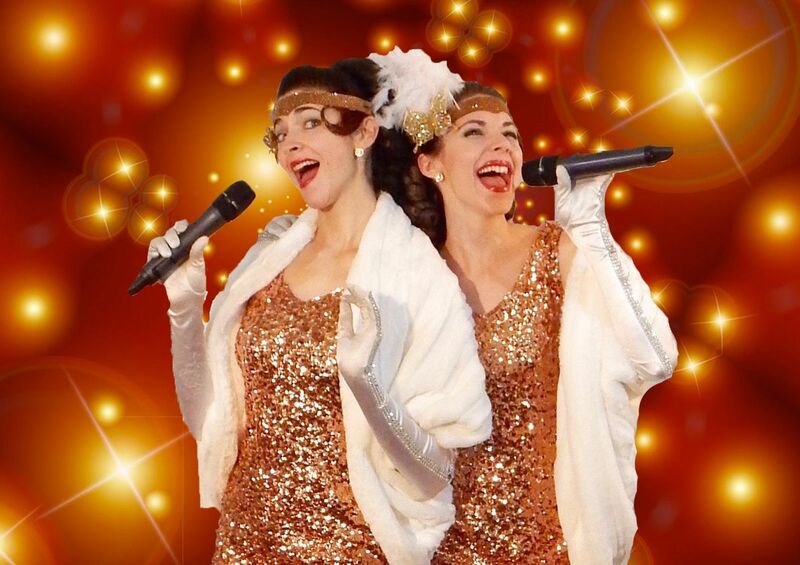 Award-winning sister act Gracie & Lacy makes a dazzling return to the Arts Fest in Gloriously Gatsby. The Great Gatsby himself would feel right at home in this Jazz Era throwback performance. 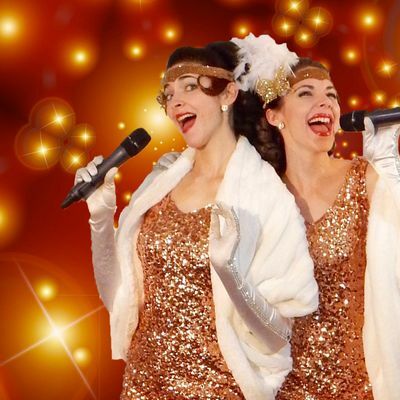 Gracie & Lacy showcase the glitz and glam of the 1920s & 30s with their glittering array of costumes, smooth-as-butter harmonies, hep steps, and the hottest hits of the Victrola days. Don your pearls and sport your favorite 1920s style attire for an incredible evening of music and dance. Dinner buffet includes garden salad, sautéed seasonal vegetables, orzo pasta salad, garlic & fresh herbed redskin potatoes, chili rubbed braised short ribs, herb roasted chicken, freshly baked artisan breads, and chocolate chip bread pudding with whipped cream. Cash bar available. Check-in and cash-only bar opens at 6:30pm. Dinner is served at 7:00pm. Performance starts at 8:00pm.Tickets are $40 per person with a group rate of $36 per person offered for parties of 4+.Ticket price includes dinner, play, and gratuity. Parking is free. No refunds.Ticket sales close at 5:00pm on Friday, April 26. ABOUT THE NORTH CHARLESTON ARTS FESTThe 2019 North Charleston Arts Fest takes place May 1-5. The event is proudly produced by the City of North Charleston Cultural Arts Department. The annual multi-day celebration of arts and culture highlights national, regional, and local artists and performers in the areas of Dance, Music, Theatre, Visual Arts, Media Arts, and Literature. For more than 35 years, the festival has made quality arts programming affordable and accessible to the widest spectrum of the public, attracting more than 30,000 residents and visitors from throughout the Southeast and beyond to experience an array of free and modestly priced performances, workshops, exhibitions, and activities in a variety of venues, including libraries, community centers, schools, businesses, and parks. The event has matured into one of the most comprehensive arts festivals in the state of South Carolina with a schedule that offers something for everyone, including concerts, theatre presentations, children’s programs, lectures and readings, workshops and demonstrations, exhibitions, public art installations, and much more. In 2018, the Arts Fest was selected as a Top 20 Event by the Southeast Tourism Society.